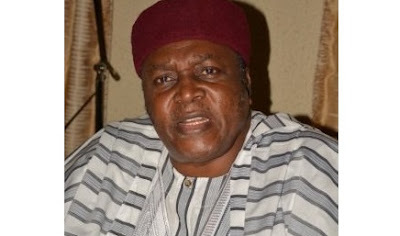 Governor Darius Ishaku of Taraba State yesterday disclosed he has received a letter by suspected insurgents that the state would be attacked within ten days. Ishaku spoke when the National Chairman of the Peoples Democratic Party (PDP), Prince Uche Secondus, visited to offer condolences over the killings in the state. “We are on notice that in 10 days, we (Taraba) shall be attacked. I have alerted all security agencies. We are waiting. “A helicopter has dropped arms and ammunitions in the night without its mission established. It is not a time to keep quiet; we are living in fear,” he added. But the state government is not satisfied. Residents are suspecting connivance, Ishaku said the alleged arms and ammunition might be meant for the militia group threatening to attack Taraba. Ishaku lamented that his pain, as a governor, is in the fact that he had promised to develop the state if the people could give him peace. “Unfortunately, I have provided development but peace has been elusive,” he said. He said he has been given a crown without a sword, so he cannot fight and keep control of his power, since he relies on the federal might for help. “Here, we rely on people who, when you give them instructions, they tell you to wait until they get a clearance order from above. The governor wants an investigation into the killing of over 68 persons by herdsmen and the killing of a member of the State House of Assembly, Hosea Ibi, who was kidnapped in Takum directly opposite a military barrack without any trace of the killers established.